The full New Hampshire Senate is scheduled to vote on the Finance Committee’s budget proposal Wednesday. The state spending plan spends slightly less than both the Governor’s and House Finance Committee’s versions but spends more in areas such as mental health and substance abuse. To see in detail how the three plans differ check out the graphic below. The Senate has until June 1st to pass a budget. If it does, the Senate and House will then enter into a Committee of Conference where they will settle on a final version. A new budget is due June 30th. The full New Hampshire House is set to vote on the Finance Committee’s state budget proposal Wednesday. The spending plan has some slightly different priorities than what Gov. Chris Sununu laid out in his version back in February. 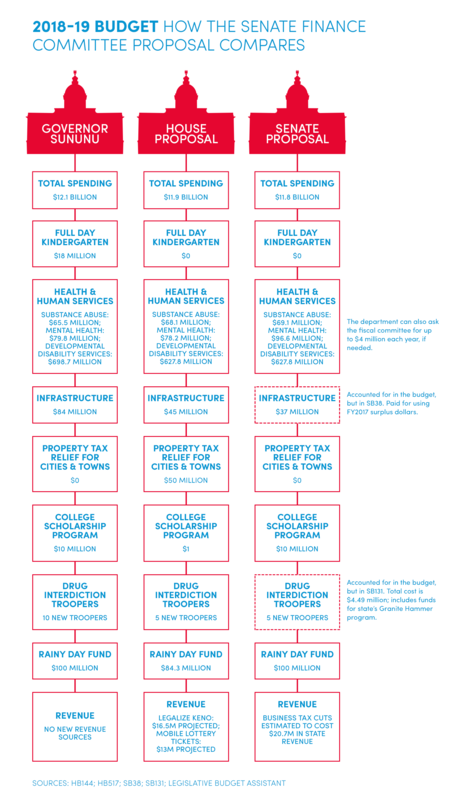 A few of the biggest policy and funding changes between the two versions are laid out in the graphic below ranging from public education to local aid for cities and towns. The House has until Thursday to pass the budget before the Senate then begins crafting its version of the state’s next two year plan. A final budget is due June 30th. Republican leaders in the Senate are confident the body will pass a GOP-backed version of the state budget next week. But how the process will unfold after that is different than usual this year. After weeks of going through the numbers, the Senate Finance Committee has wrapped up its version of the state’s next two-year budget. The proposal passed the committee with a 4 to 2 vote Wednesday, with Democrats against. 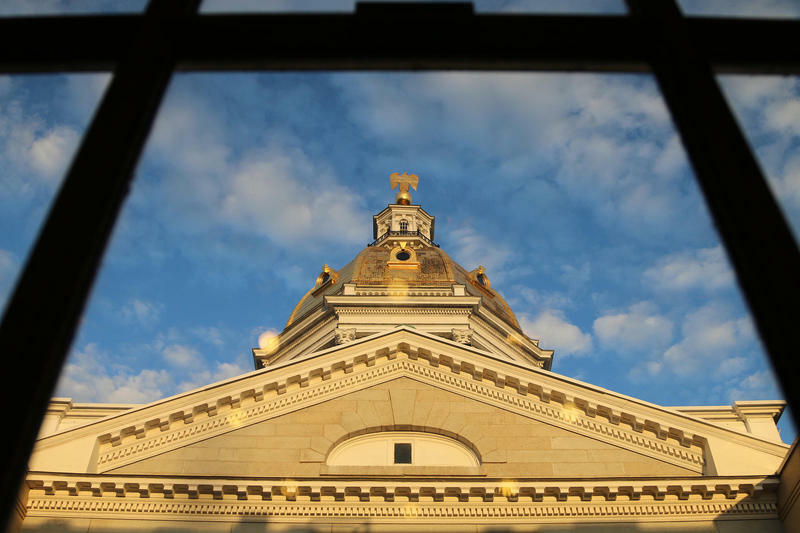 N.H. House Fails to Pass State Budget For First Time in Decades - What Happens Now? 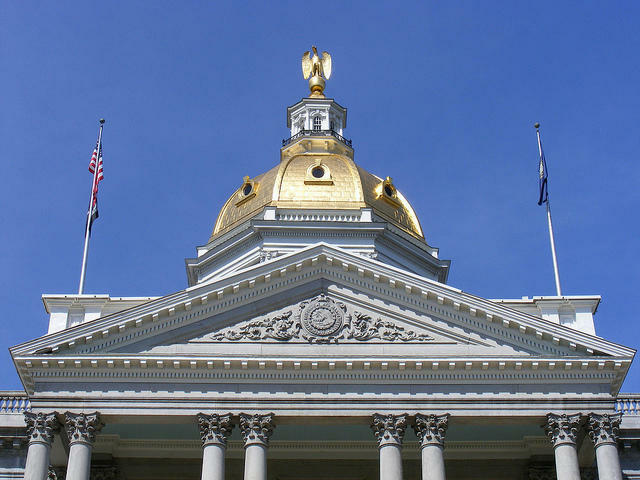 The New Hampshire House will not have a budget proposal to work off when finalizing the next two year state spending plan this June. It’s apparently the first time in decades the House finds itself in this position, after Republican leaders failed to rally a majority to support their preferred budget this week. That leaves many wondering what the House’s role will be later in the budget process.